Facebook wants to make it easier to follow along in group chats. 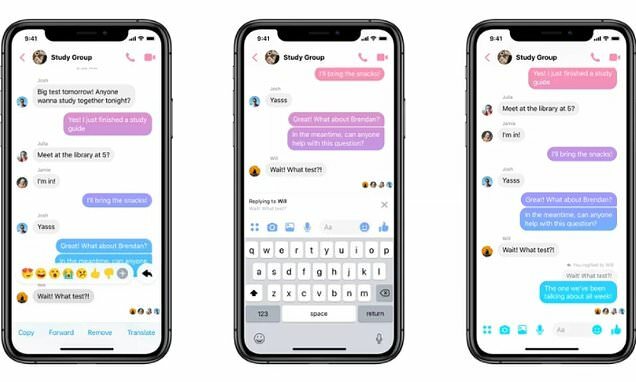 The social media giant is rolling out a new threaded replies feature to the Messenger app that lets users quote and reply specific messages in a conversation. The feature became available globally starting on Wednesday. To use the new feature, users hold down on the message they want to reply to and then tap on the 'Reply' icon, which shows up as an arrow. Users can reply to text messages, GIFs, videos, emoji and photos. After hitting reply, the message will be quoted above yours so other group chat members are aware what you're responding to.